Dimensions 0.75 by 7.50 by 9.75 in. Amazon.com description: Product Description: This is the latest addition to the Oxford Core Text series for medical undergraduates. As reliance on imaging techniques increases it is essential that medical students understand the role of radiology in clinical practice and develop a mechanism for choosing appropriate investigations. 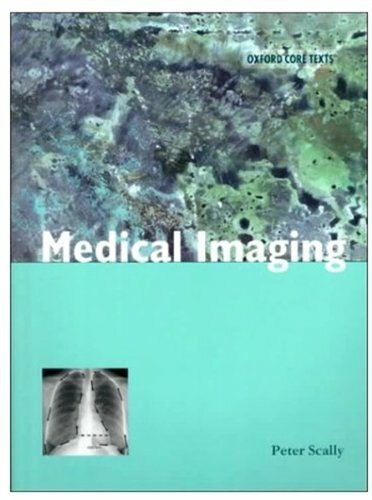 Medical Imaging provides concise and practical coverage of imaging for students in clinical medicine. Written in a clear and easy-to-use way, this book is designed to help the student to interpret basic radiographs and to use Xray and other images to solve clinical problems. Section A teaches you how to look at common radiographs and recognise the presence and nature of abnormalities. Section B discusses investigation of clinical problems and helps resolve them. This section also includes information about the different modalities and the appearance of important disorders Section C contains information about the role of radiology, safety, care of the patient and interventional radiology. Including numerous illustrations, summary boxes and further reading, Medical Imaging encourages students to develop the ability to read normal and abnormal films an appreciation of radiology as the imaging of pathology the integration of radiology with other clinical specialties an appropriate use of resources in imaging a clear understanding of the underlying medical phyics an insight into decision-making and uncertainty Dr Peter Scally is Clinical Senior Lecturer in Radiology at the University of Queensland, has experience of teaching clinical medical students and residents and writes authoritatively. About: This is the latest addition to the Oxford Core Text series for medical undergraduates.